My previous 8-part series involved minerals and their productive management. In this new series, we will look at the key players in your microbial workforce. Nutrition Farming® is about minerals, microbes and humus, and their interrelationships. Over the coming weeks, you will discover the fascinating potential of managing microbes and soil-life to increase yields, improve soil fertility and reduce problems. In this 9-part series, we will look at Trichoderma, mycorrhizal fungi, Bacillus subtilis (and other Bacillus species), beneficial anaerobes, Pseudomonas fluorescens, protozoa, nematode-trapping fungi, earthworms and broad spectrum inocula (compost tea). We will begin this journey by discovering the dynamics of one of my personal favorites – Trichoderma. When you understand the profound importance of each member of the subterranean workforce, it is hard to choose a favourite. However, there is one problem-solving organism that offers so many benefits, it is hard not to get excited. Trichoderma is a versatile activist that can improve multiple processes in your growing enterprise. In fact, these organisms have such powerhouse potential in food production, informed Governments are encouraging their inclusion in planting programs, Universities have rallied to research their benefits and farmers have relished the impressive field results. Let’s find out what all the fuss is about. Humus creation – Trichoderma is a voracious cellulose-digesting fungi, which means that it can efficiently convert fibrous organic matter (like crop residues or potting mix) into stable humus. This is the form of organic matter that can remain in the soil (and keep carbon out of the atmosphere) for over 35 years. Most soils are seriously lacking cellulose-digesting fungi and this is of tremendous importance. When we understand that humus creation is effectively carbon sequestration, the game changes. If we can build rather than burn organic matter, then we can effectively reverse global warming. This is the essence of the French "4 in 1000" initiative. Their scientists have demonstrated that if we incentivise farmers to strive to build 0.4% organic matter (4 in 1000) each year, then farmers can literally save the day. All strains of Trichoderma are of value in this planet saving service. Parasitising disease organisms – Trichoderma attack and feed upon a wide range of destructive disease organisms. These include, but are not limited to, Rhizoctonia, Phytophthora, Pythium, Xanthomonas, Fusarium, Verticillium, Botrytis, Alternaria, Sclerotinia, and Pseudomonas syringae. Trichoderma can use remote sensing to locate the pathogen. It then coils around the disease organism and releases chitinase to ensure ease of hyphal penetration, before consuming the host. Out-competing pathogens – Trichoderma have proven to be one of the most successful rhizosphere (root zone) inhabitants. For example, there can be as many as 10,000 culturable propagules of Trichoderma in a single gram of healthy, tropical soil. The reasons for the success of this species is related to their high reproductive capacity, their resilience in unfavourable conditions, their capacity to modify their surrounds, their efficiency in nutrient utilisation and their antagonism to pathogenic fungi. Part of their competitive advantage relates to their capacity to chelate and utilise available iron in the root zone. Pathogens also have a strong requirement for iron and are much less effective in securing this mineral. They die off when Trichoderma gobble limited iron reserves. There are several papers quantifying the control of Pythium in this manner. Stimulating root and shoot growth – Trichoderma initially release cellulase and proteolytic enzymes to break down the outer cells of the root and enable root colonisation. When effectively inhabiting that plant root, Trichoderma has easy access to the flood of glucose exuding from those roots. However, it is not a free lunch. These friendly fungi release a suite of secondary metabolites to support their host. These include auxin-like hormones that provide a profound effect upon both root and shoot growth. Astute nursery operators have realised that the addition of Trichoderma to potting mix will boost both growth and resilience in their plant products. Boosting plant immunity – in the face of the initial root invasion by Trichoderma, the plant responds by walling off the perceived attack site. This response limits the invader to the outer few layers of root cells, but it also triggers a measurable increase in phytoalexins within the plant. Phytoalexins are equivalent in plants to antibodies in the human immune system. The higher their number, the greater the capacity of the plant to protect itself. The good news here is that anything that boosts immunity also boosts yield and, hence, Trichoderma inocula are renowned yield builders. Solubilising phosphate – the acidic exudates of this beneficial fungi break the bond between locked-up calcium and phosphate and deliver both minerals to the host plant. 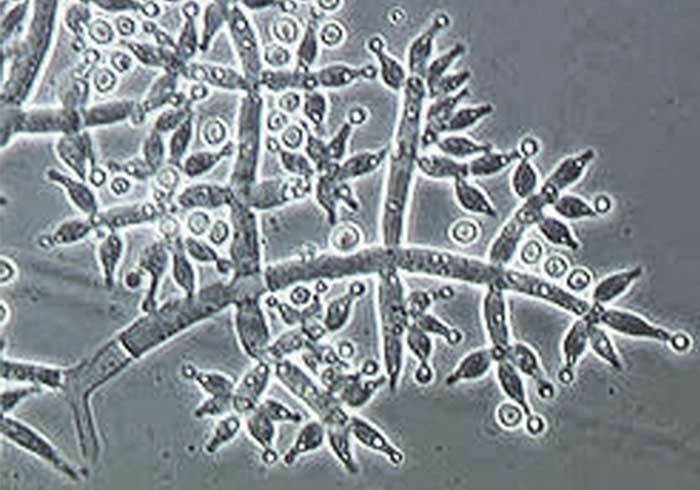 The fungal hyphae also provide more surface area to access phosphorus, the most immobile of all minerals. This biological release of locked-up phosphorus partly explains the yield response following the use of a stubble-digesting inoculum. Trichoderma are typically included in these cellulose-digesting blends. Improving plant nutrient uptake – there is a marked and easily measurable increase in nutrient uptake that is also associated with these acidic exudates. The pH of the root zone seriously impacts nutrient availability. Minerals are most available at a pH of 6.4 and this productive acidity is ensured when Trichoderma are flourishing on the roots. Research has revealed increased uptake of copper, iron and manganese, along with calcium and phosphorus. There is also a little-understood link to improved nitrogen efficiency. This is the reason that the Philippine Department of Agriculture has recently begun promoting the inclusion of Trichoderma with NPK starter fertilisers. Facilitating signaling – this is a dynamic and fascinating field of research where we are rapidly realising that there is much more happening between microbes and plants than was ever envisaged. The exchange and perception of signals drives a dynamic ongoing communication between plant roots and microorganisms. Many plant processes, including immune responses are impacted by signaling. There is also evidence that some of the secondary metabolites produced by Trichoderma may serve as signaling molecules. Production of secondary metabolites – Trichoderma is a prolific producer of these substances. In fact, over 300 have been identified to date.The secondary metabolites released by Trichoderma in this symbiotic relationship include peptides, terpenoids, pyrones and indolic-derived compounds. These metabolites boost multiple plant processes, including immunity and vigour. Producing antibiotics – Trichoderma has a three-pronged impact on pathogens. The organism can switch its enzyme production depending on the available food. It can produce cellulase if there is an abundance of fibrous organic matter. When pathogens are present, the enzyme exudates become chitinase, which is used to breakdown the hyphae of disease organisms. This fast-growing fungi competes with disease organisms and triggers an immune response in the plant, which also make life more difficult for the undesirables. Trichoderma can also produce antibiotics to further challenge the invaders. Trichoderma inocula have become increasingly popular inputs in all forms of agriculture in recent years. The spores have a long shelf life and, when activated, they grow rapidly and form colonies, even in strongly biologically active soils. They are compatible with many other beneficial inocula including Bacillus subtilis, Pseudomonas fluorescens and blends of beneficial anaerobes like BAM™. Part of their appeal in conventional agriculture relates to their resistance to many of the toxins found in the chemical approach. They have been shown to survive fungicides, heavy metals and antibiotics produced by other organisms. Trichoderma can be fertigated or foliar sprayed and they even have a role to play in hydroponics. These organisms establish well in substrates and can be introduced as a seedling treatment to ensure early colonisation. They appear to colonise coco peat more vigorously than rockwool and it is a good strategy to drench the entire substrate with a diluted solution of Trichoderma and humic acid. 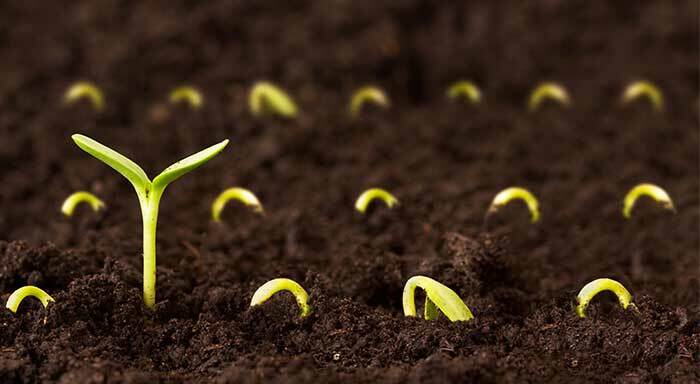 Humic acid is a potent food source to help kickstart colonisation in substrate or in the soil. Trichoderma can also be utilised as a post-harvest treatment to prevent rotting diseases like anthracnose. They have proven particularly effective in reducing these post harvest problems in bananas, mangoes, avocados, strawberries, tomatoes and apples. Trichoderma is also used for bioremediation of chemically contaminated soils. A clean up of your soil can prove immensely valuable. Trichoderma possess the ability to degrade a wide range of insecticides, organochlorides, organophosphates and carbonates. High dose fulvic acid (3 kg of NTS Fulvic Acid Powder™ per hectare) can also speed the cleansing of your soil. When this fungi and fulvic are combined, the soil detox can be impressive. 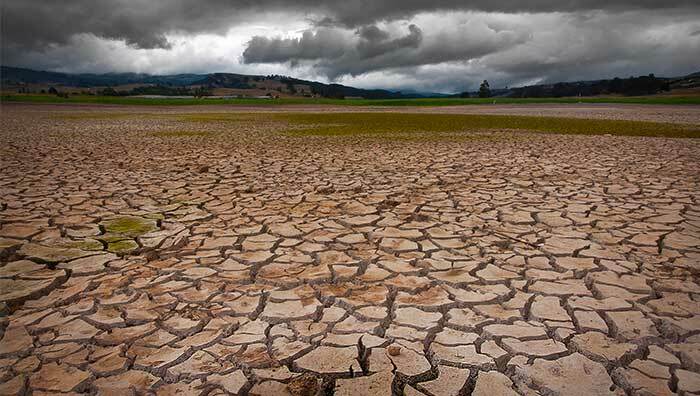 Trichoderma also produce proteins that allow plants to withstand both salt and drought stress. This is a particularly appealing feature in the brave new world of climate change, where both of these stressors are more prevalent. The most important commercial species of Trichoderma include T. harzianum, T. virens, T. asperellum and T.viride and there are several products available that include a combination of these organisms. All of these species can promote plant growth and build humus, but their activity against pathogens differs. Some have been shown to control leaf disease with a soil application, which suggests a systemic protective response. These organisms manage fungal pathogens far more effectively than bacterial diseases. Hence, it is good news that inocula of bacterial control specialists, like Pseudomonas fluorescens, are compatible with Trichoderma to offer more comprehensive management. 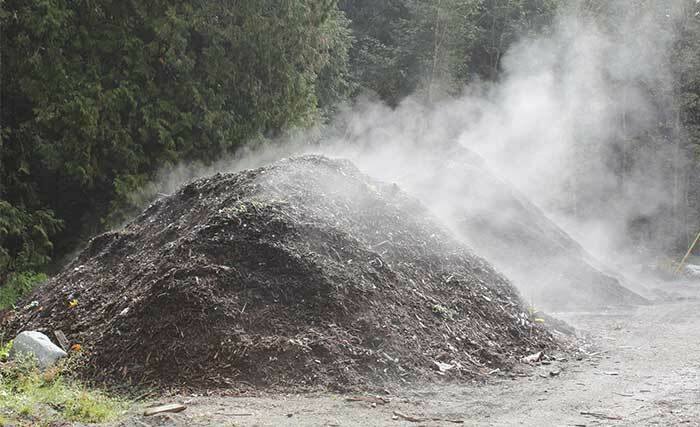 Trichoderma can be introduced to a compost pile in the latter stages, when the pile no longer requires turning, and it can be a remarkably productive inclusion. The Trichoderma can grow throughout your pile and you have now created a disease-suppressive, root-enhancing compost. Trichoderma is an oxygen-loving species, so this strategy is not applicable to anaerobic composting. It will be important to also apply a broad-spectrum fungal inoculum/compost to maintain microbial diversity. Trichoderma thrive in well oxygenated soils and there is great potential to introduce these inocula in soils irrigated with enhanced oxygen. The remarkable Puricare system from South Africa delivers multiple oxygen species, at a rate similar to that required when brewing microbes. You are effectively activating all soil-life and stimulating plant roots down to the depth of infiltration achieved with your oxygenated irrigation water. 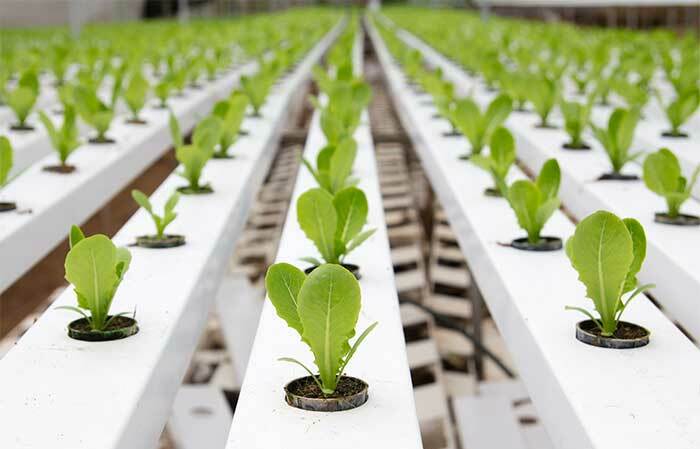 Oxygen is the most important element for plant production, so when luxury levels are applied, the results are astounding. If Trichoderma was combined with this technology the outcome could be very special. Trichoderma is also a great additive when propagating cuttings. When rooting cuttings in water, the addition of Trichoderma powder can sponsor an explosion of new roots that can be much more pronounced than that seen with the use of rooting hormones. Trichoderma is also an ideal seed dressing. There is some evidence of increased germination but, more importantly, the new seedling can be protected from damping of diseases like Pythium. The ongoing synergistic relation between the plant and this protective fungi can then help you achieve a problem-free season. The understanding and utilisation of beneficial microbes is an integral component of Nutrition Farming®. If we are to successfully escape from the chemical treadmill, we need a full range of tools at our disposal. We need our minerals, microbes and humus firing in concert, and functional additives, like Trichoderma, can be star performers in achieving a more nurturing, regenerative approach. Next week, we will discuss protozoa, as another major player in this soil symphony.